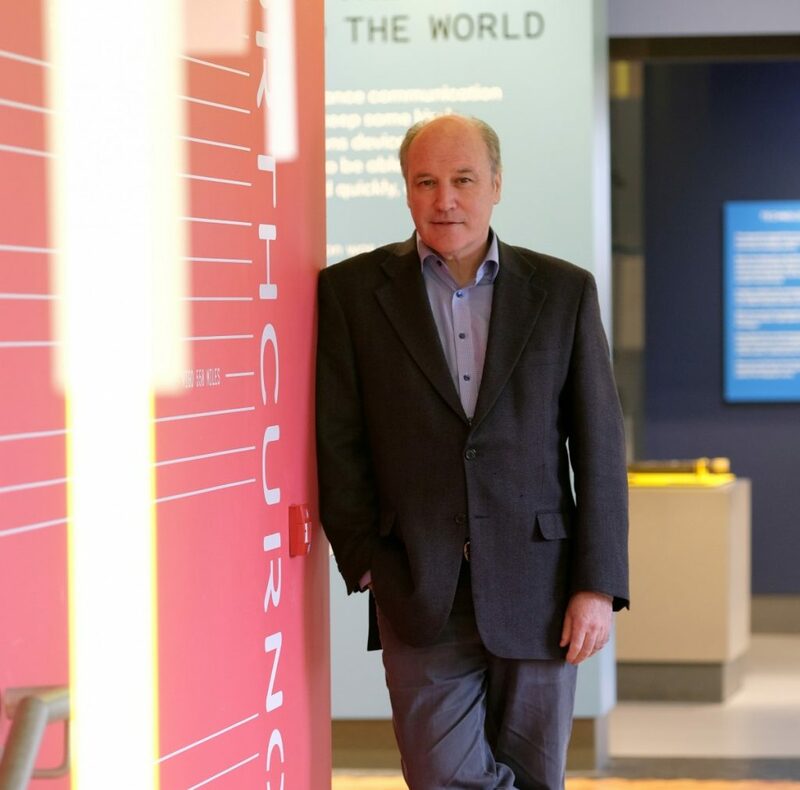 Gareth Parry, our Chair of the Board of Trustees, writes an update for us about some changes that are afoot with the management of the Museum. We have an exciting year ahead, and look forward to working with our new Board members and Museum Director to deliver on a number of new projects. After nearly twenty years as Chair of Porthcurno Collections Trust, Dave Foot decided to stand down and hand over the reins to me, his deputy for the past two years, at the AGM in December. Herbie Blundell, with a similarly long commitment to the Museum, also stood down along with Dave Escott. However, perhaps with the temptation of more long evenings at the Logan Rock Inn, the two Dave’s have been persuaded to retain an involvement with us at PK. Both will be involved with the Wilshaw Benevolent Trust. Dave Foot remains on the Board of Trustees and the Board of Porthcurno Limited, and Dave Escott will be offering his valuable advice to the Audit Committee. Herbie, a huge support to staff at the Museum over the years, has promised me that he will be at the end of the phone when I need him and that is much appreciated because I will need him. Thank you, all of you, for what you have done for the Museum, the Archive and for all the staff, visitors and residents in this valley – a valley that will always be a special place for so many people, from all over the world. The new people on board are Janet Pascoe, Head of St Buryan’s School, who also has close family associations with Cable and Wireless at Porthcurno, Rick Perry, now Head of International Developments at Vodafone, who will be well known to many of you, and Julie Seyler, now with Hall for Cornwall in Truro, and recently, Lead on Heritage and Culture for Cornwall Council. The two of us on the front line are Chris Fyles and me. Chris is a tax consultant and previously a partner with the accountancy firm KPMG. A passionate cricket supporter, he is also treasurer of Cornwall Cricket Association. I spent most of my career in academia at, apart from seven years at the Royal Radar Establishment at Malvern, UCL, Oxford and Imperial College London. I focus more on rugby than cricket but we need diversity on the Board! The other change, of course, is that we will be appointing a new Director. Tim Cooke is moving to become CEO of the Shakespeare Birthplace Trust. Tim has been an outstanding Director and become a very good friend to many of us. We may not have convinced him that Pender, Marconi, Wheatstone and Kelvin are up there with Shakespeare but I think we may have made a little progress in that direction. Tim and Ruth have lived at Mercury House for the past two years and no doubt the temptation of Anne Hathaway’s cottage instead will have been a significant factor in deciding to move! There is never a quiet period at Porthcurno and in 2020 we will be celebrating the 150th anniversary of the arrival of the first cable to connect this country to another part of the British Empire. Rick Perry is going to lead on the plans for this year and no doubt he will be seeking ideas, stories and most importantly, financial contributions from you all!